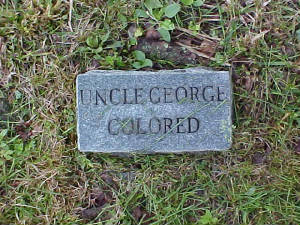 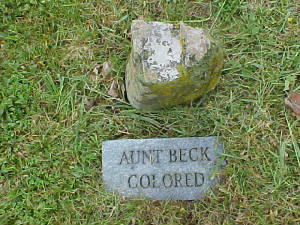 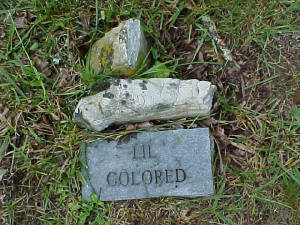 The 5 fieldstones and marble markers shown below are probably those of former slaves or colored servants. 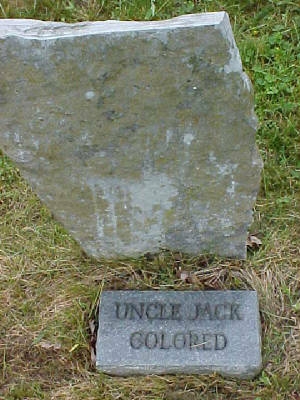 Their last names are not known, nor are they dated. 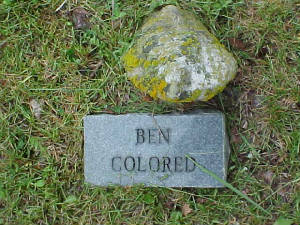 Apparently the graves were first marked with a fieldstone and at some more recent time, the marble stones were added.